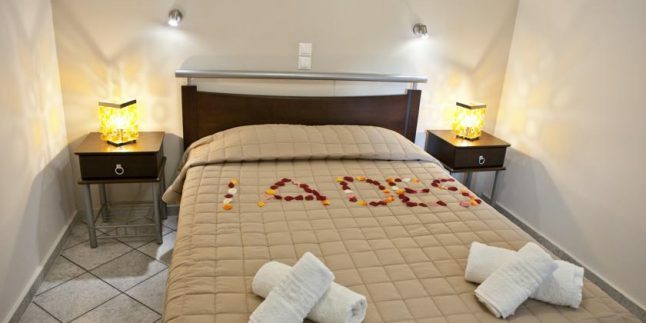 Iades Studios is located in Naxos’s Agia Anna neighbourhood, only 50 metres from the beach. The self-catered Iades Studios come with private balconies. Each of the traditionally furnished studios features a kitchenette with coffee maker and fridge. Some with a view to the sea, the air-conditioned units include a satellite TV, safe and direct dial telephone. Iades Studios features a restaurant and a lounge bar. Tour/ticket assistance are available at the 24-hour front desk. Guests may request hairdryers, and rollaway beds are available on request. Iades Studios is only 3km from the airport and 6 km from Naxos Town. The sandy beaches of Agios Prokopios and Maragas are at 500 metres and 1 km respectively. Guest parking is complimentary.